Someone’s been watching The Handmaid’s Tale. 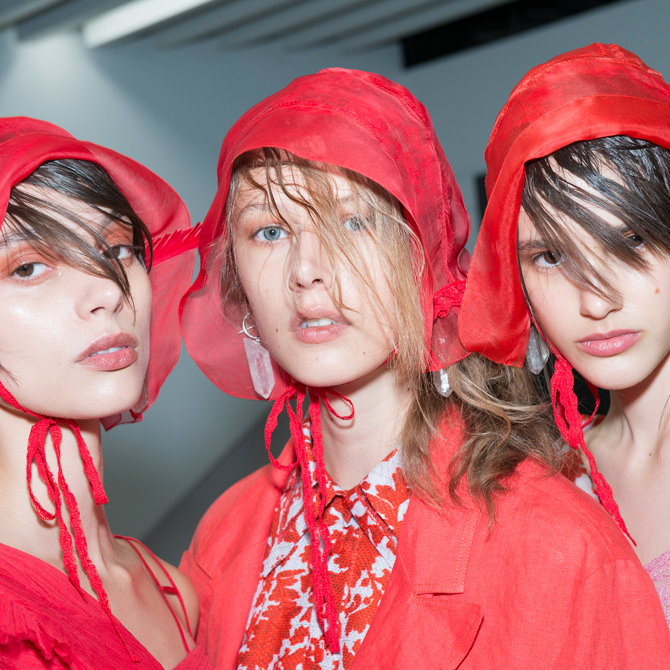 That much was clear from a glance at the pilgrim style bonnets and raw ponytails on the Preen by Thornton Bregazzi SS18 runway. Women’s liberation was at the forefront of the forcefully feminist collection, and Eugene Souleiman, Wella Professionals Global Creative Director & ghd Ambassador, echoed that in every tweak and twist of the hair. 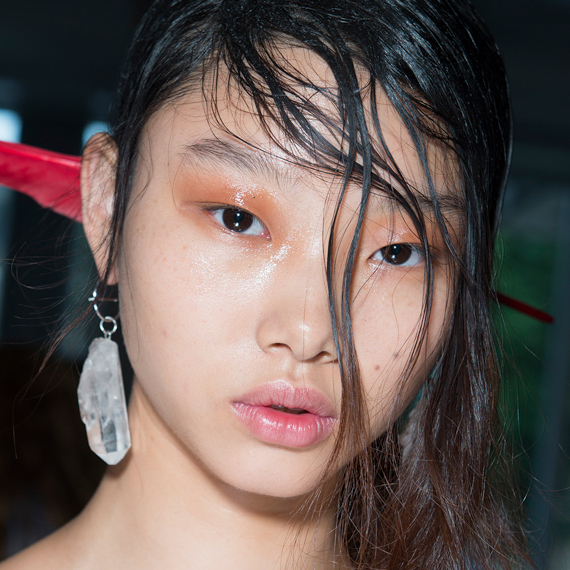 “I have been working with Preen for 5 years,” said Eugene. “And I'm always drawn to their conceptual approach, which results in the unusual, yet beautiful.” This year, the designers took inspiration from Victorian travelling pilgrims, with floating chiffon and floral patterns just begging to be juxtaposed against a tough hair look. 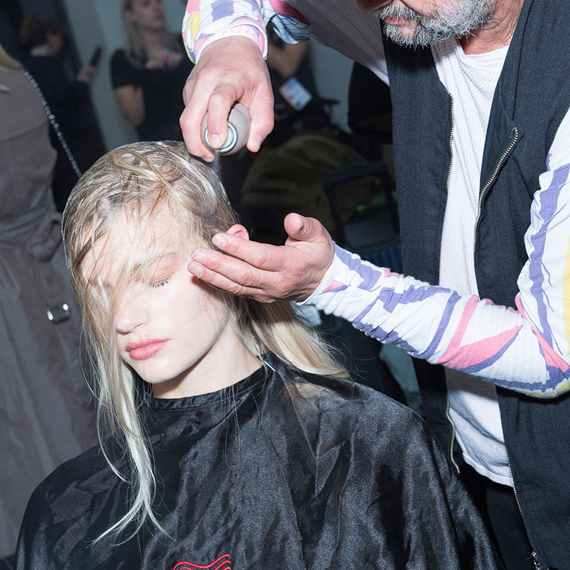 “For the hair, I wanted it to look harder, as if [the models] had arrived off a boat in a new land, hair unwashed for weeks and exposed to the elements,” Eugene explained. “The bonnet lost or discarded, the hair having seen sun, rain, snow ... it's broken and unkempt, yet still with the imprint of the bonnet to bring some of the strictness that defined the era." 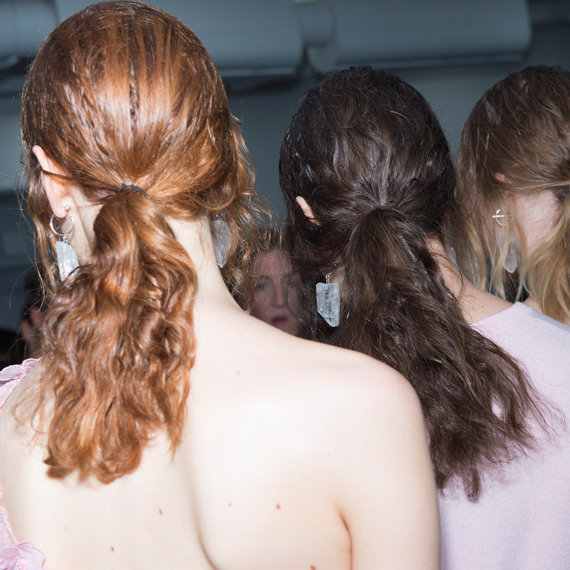 A poetic and impactful concept, yes – but if this mussed-up catwalk coifing isn’t for you, there’s one key takeaway that flatters all: the nape-hugging ponytail. 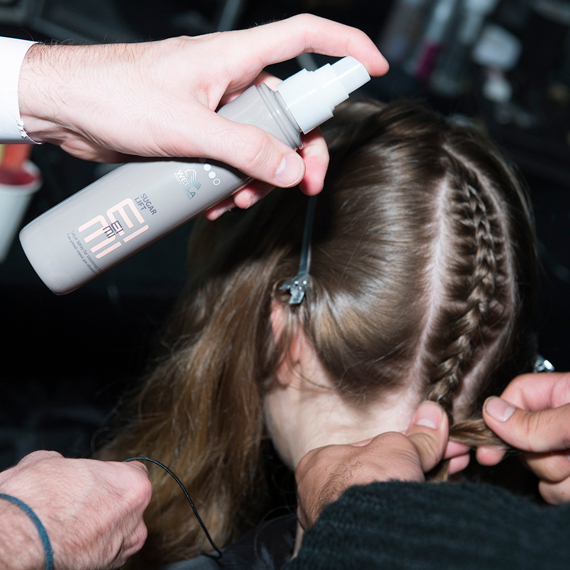 To prep the look, Eugene braided in an under section at the back of the hair. It was hidden from view, but provided structure that kept the low-slung style in place. Next, hair was parted to the side and EIMI Sugar Lift was liberally misted at the roots, adding of piece-y texture, guts and hold to even the finest of strands. Eugene said, “Working with the fingers creates a more natural and unkempt texture, it's a sculptural process. Play around with the hair sections to break up the shape and then randomly place longer pieces around the head. It should be fresh, modern, imperfect and each girl will be different." Then, the texture was tonged in. Hair was loosely gathered into a low pony on the same side as the parting, before the ghd Soft Curl Tong was used to create shape and movement. 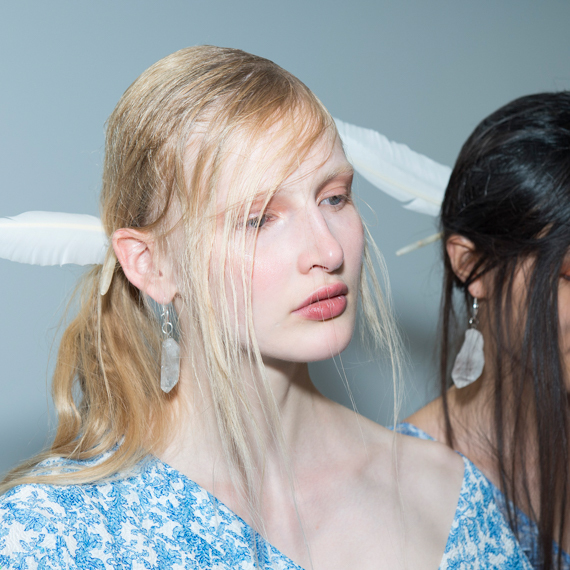 To finish the look, EIMI Dry Me was blasted over the entire style, and EIMI Dynamic Fix was used to tease tendrils across the forehead, as if a strong gust of wind had hit. Once the hair was saturated with hairspray, it was dried through a net using ghd Air Hair Dryer, and the net was pulled down tight to mimic the shape of the bonnet that had once been there. Face-framing tendrils were shaped and dried again, so that they tucked around – not over – the ears. The result? A truly avant-garde style, fitting of a dystopian dream.